This is a only holy river in india who has most important place in religious works,to flow little dead children,works of funeral and worshiping. after all these thing u know-Ganga is still now holy as necter.people keep dis holy water in bottles or a pots becuase it is d symbol of hindu religion n thier God.u will be surprised to know dt dis holy water has herb’s power n is beyond many insects forever.dis river is longest river of india and its source is situated in Himalaya mountain who is called from gangotri. OH MY DEAR GODESS-“D HOLY GANGA”in present,environmental pollution is ur main enmey.oh all indians ! 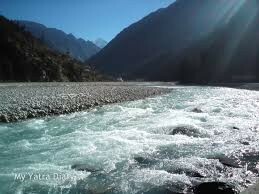 !plz save our Ganga.